The 1st Marathon on the Development of Applications for Local Government KEDE City Challenge Crowdhackathon Smartcity was held with great success. The marathon was attended by more than 200 contestants in 50 teams that implemented original applications useful for cities and local government in three days, with the help of 40 experienced mentors and 17 members of the evaluation committee from Municipalities, the market and the academic community. The 32 volunteers provided valuable help to the event. KEDE City Challenge Crowdhackathon Smartcity was organized with the technological support of the innovation company Crowdpolicy. The first axis presents the “smart city” as a compendium of technological factors, natural infrastructures, smart technologies, mobile telephony technologies, digital and enhanced technology solutions and, finally, digital networks. 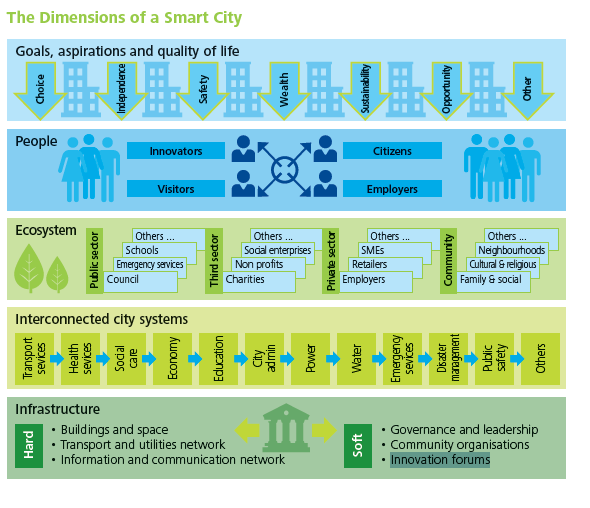 All these factors result in: Digital city, Intelligent city, Ubiquitous city, Wired city, Hybrid city, Information city. The second axis concerns social factors such as Municipalities and the institutional and regulatory framework. These social factors result in smart communities and smart growth. Finally, the third axis is man because through the human and social capital of the city, Creative city, Learning city, Humane city και Knowledge city are generated. 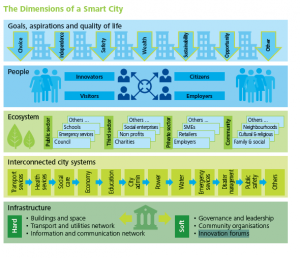 This holistic approach defines the smart city phenomenon. The three-day innovation competition resulted in solutions covering all the smartcity axes. In particular, the innovative applications that were developed are related to smart transportation, smart health care, smart safety, smart energy, smart environment and other organizational solutions for municipalities. All this provides an excellent example proving that this is not a theoretical approach, but all this is achieved by innovators who are optimistic and show us that they can create the city of tomorrow today! The 1st prize of € 6.000 was awarded to the team Needsa for their application Happy Trees. It is about the remote irrigation of green areas with the ability to collect weather, soil moisture data and so on. The 2nd prize of € 4.000 was awarded to the team MX2T for their application social wallet for vulnerable groups. The 3d prize of € 2.000 was awarded to the team City Hub for their application API Dashboard that links existing applications of Municipalities.